Hello everyone! I hope you all have been enjoying Summer and this lovely weather. 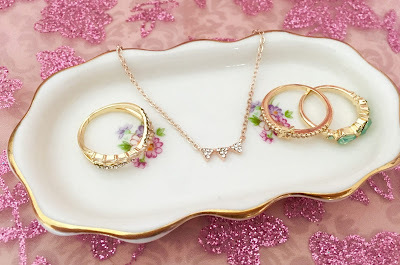 Today I wanted to share with you the items I picked up the other day while I was shopping. I think I may have a slight shopping addiction but that's okay. You know what they say....... shopping is therapy! 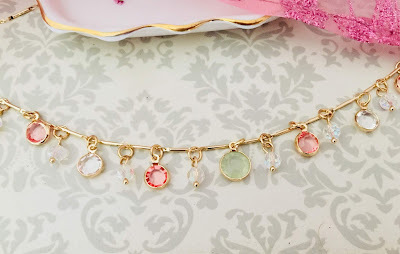 As you may know from previous posts I'm a jewelry fanatic. I wear jewelry constantly and feel so incomplete walking out of the door without it on. 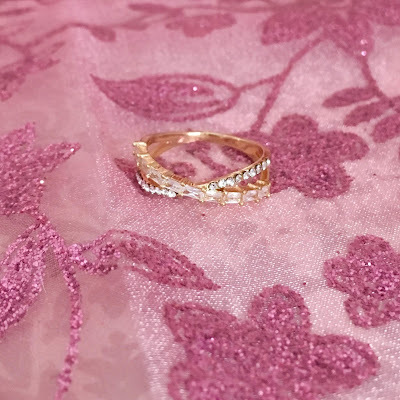 I selected a beautiful gold ring that crisscrosses one strand of little baguette crystals with another strand of circular crystals. 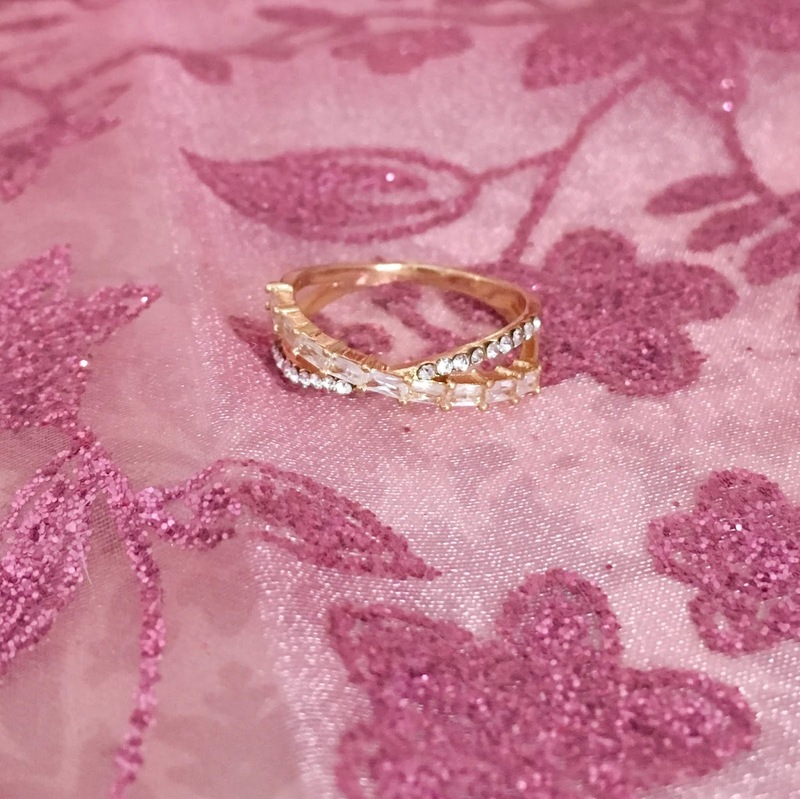 It's so unique from other rings I already have. I also selected a ring with green-blue gems of different sizes and shapes. I love the color of this one! 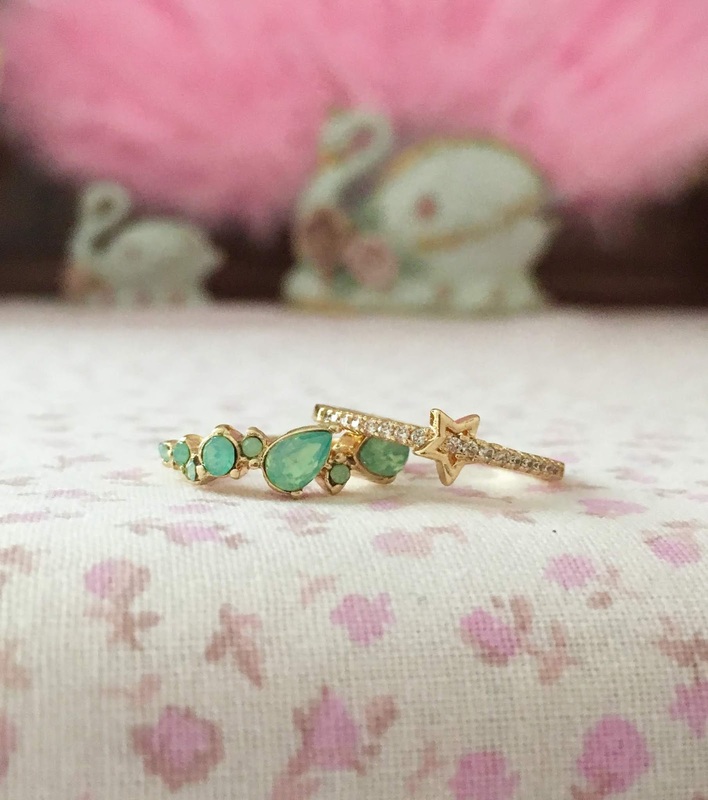 Lastly, I purchased a gold ring with a little star in the center with crystals on the band. I got so excited when I saw it because I'm obsessed with stars, space, and the sky! It's so adorable! 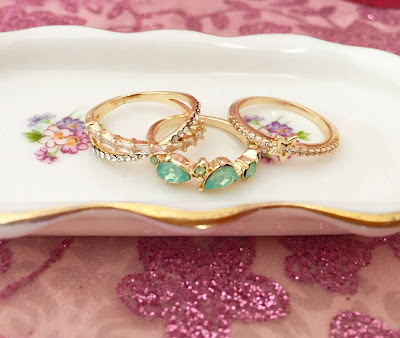 All three rings are from Charming Charlie and so is the rest of the jewelry in this haul. I recently have been trying to find a bracelet that goes with everything and that I can put on no matter what I'm wearing. I've finally found it! Sometimes I have bracelets that I can't wear because they don't go with the outfit I have on that day. 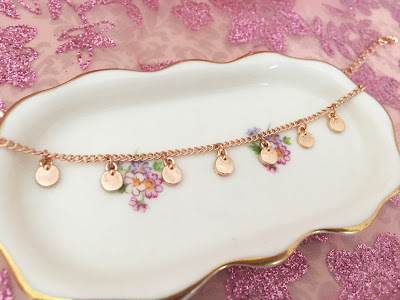 I've found this simple yet classy rose gold bracelet. My favorite part is the circular discs dangling from it. I love how dainty the little discs are. It just gives an outfit that extra something. I know I'm going to be getting a lot of use out of it. 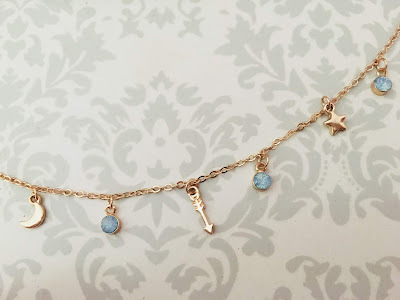 Speaking of simple, I also bought this dainty necklace. 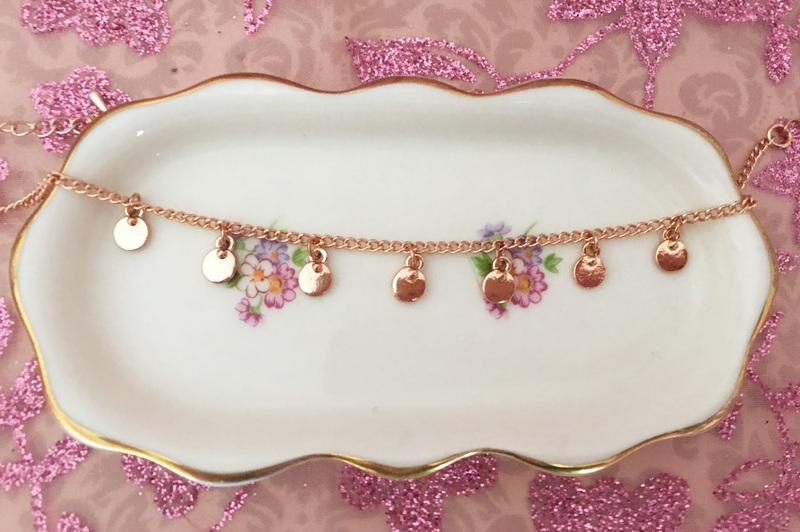 This is the kind of necklace you can wear everyday with anything. It's nothing too bold/crazy and it doesn't take away from an outfit. 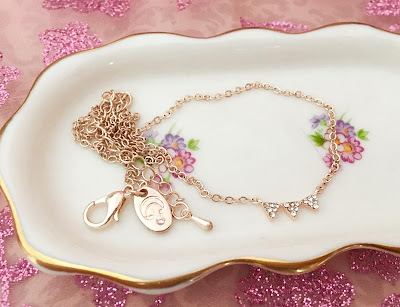 It's a rose gold chain with three delicate triangles with little crystals. I adore how simple, delicate, and dainty it is. Those are my favorite types of necklaces to wear. They are perfect for layering. I have been wearing this one everyday. The colors in this necklace are stunning. I love the light green, bright pink, and opalescent colors together. Such a great color combination. This necklace is more of a statement necklace but it's still not overly bold. I love the gold chain which is slightly thicker than most chains. For some reason, this necklace reminds me of a chandelier. I think it's because of how it sparkles when it catches the light. Lastly, this is my favorite necklace I purchased this time around. 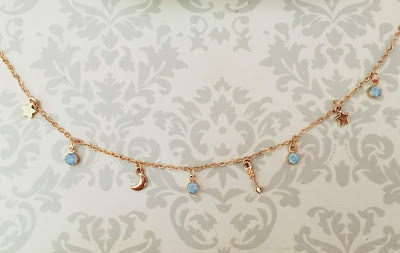 Out of all the jewelry I got this has to be my absolute favorite because not only is it delicate but is has little stars and a moon. Also, the little gems are light blue like the sky. 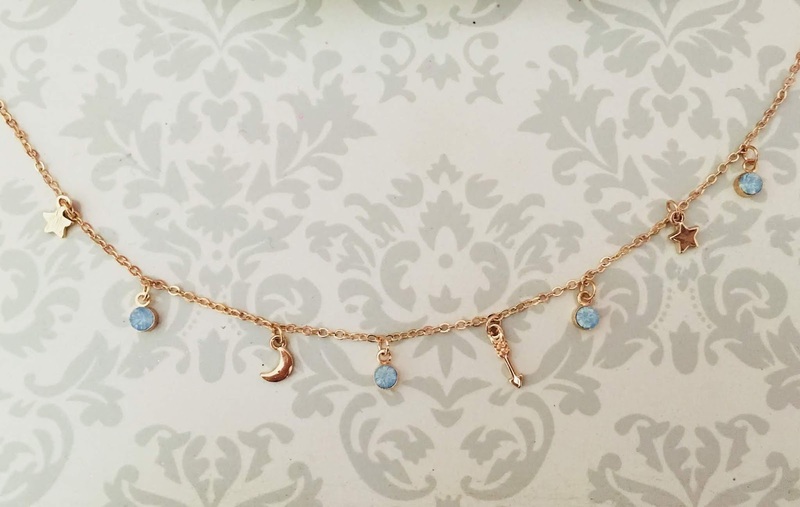 It's gorgeous and is also perfect for layering or can be worn alone. I'm so excited to wear this! I haven't been able to find a necklace like this elsewhere so I'm so happy I was able to snag this! While I was in Charming Charlie I also picked up this sleeping mask because I couldn't resist it. 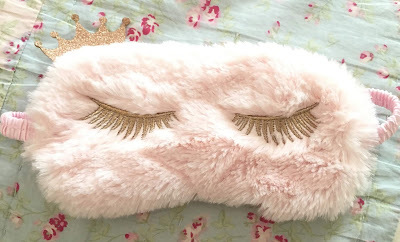 It was calling my name with the pink fur, sparkly gold crown, and lashes. 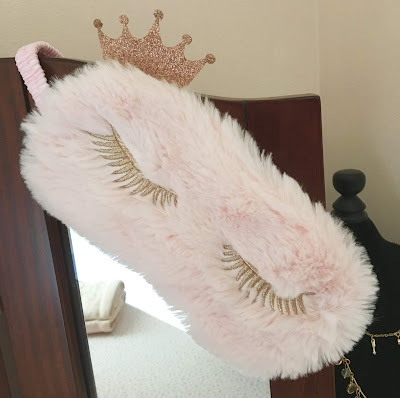 I use this mainly as decor because I don't think it would be that practical to wear to sleep but it's just so adorable! The very last thing I got from Charming Charlie was this chic floral top. The print is so Summery so I knew I had to pick it up. 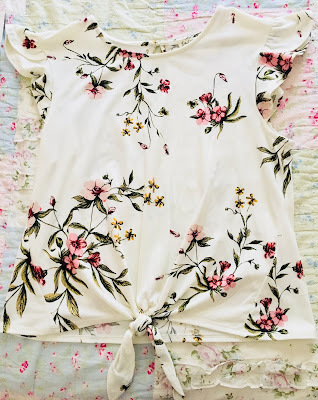 I love all the details like the frills on the sleeves and the knot/bow at the bottom, it gives this top so much character. It can be worn casually with some denim shorts or it can be dressed up with a skirt. At Home Goods I got these beautiful hand towels that are blush pink. 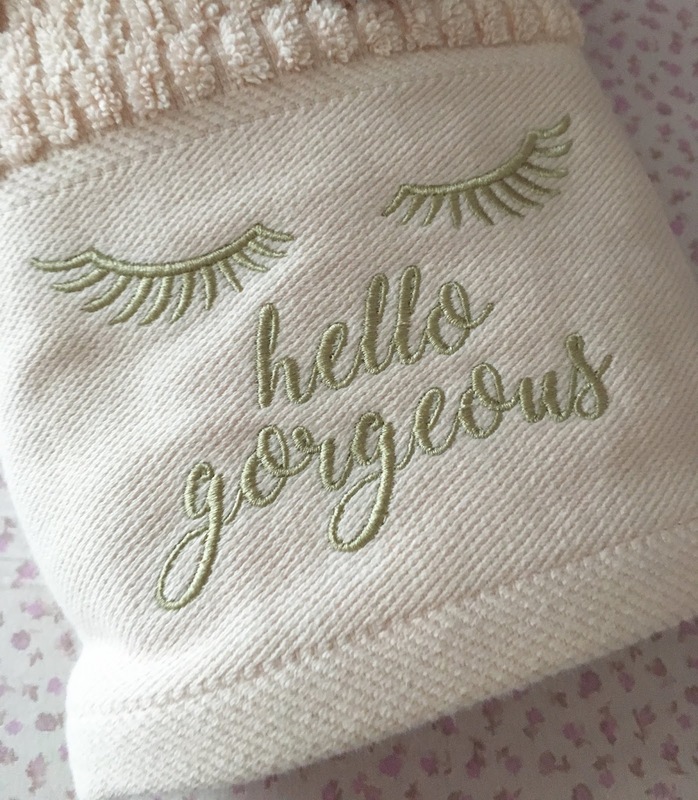 The texture on the top is so lovely and the eyelashes are adorable as well as the saying. If you couldn't tell from the sleep mask I love eyelashes! I haven't used this yet because I'm afraid of ruining it. I'm just admiring it right now! That is everything I got. I hope you enjoyed this haul. I would love to know....what is your favorite purchase you've made this Summer? What was your favorite product in the haul? 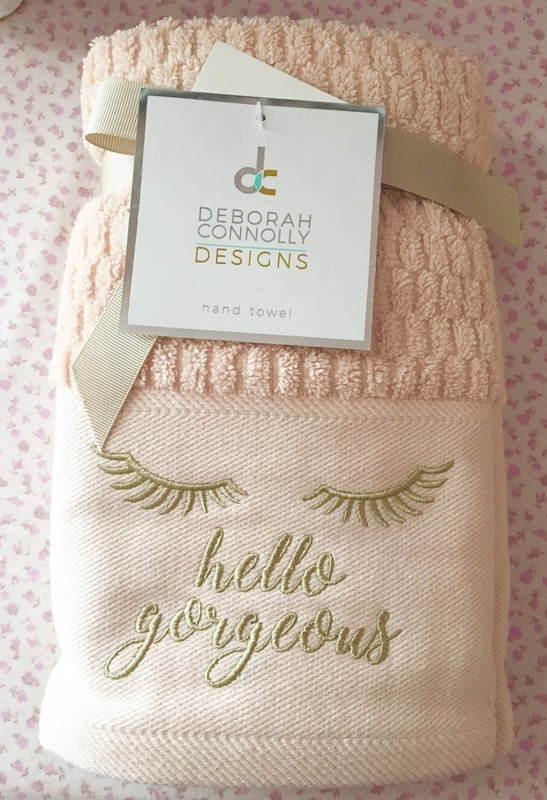 Great post - you bought some really cute stuff! :) I love those three dainty rings - so perfect for summer!